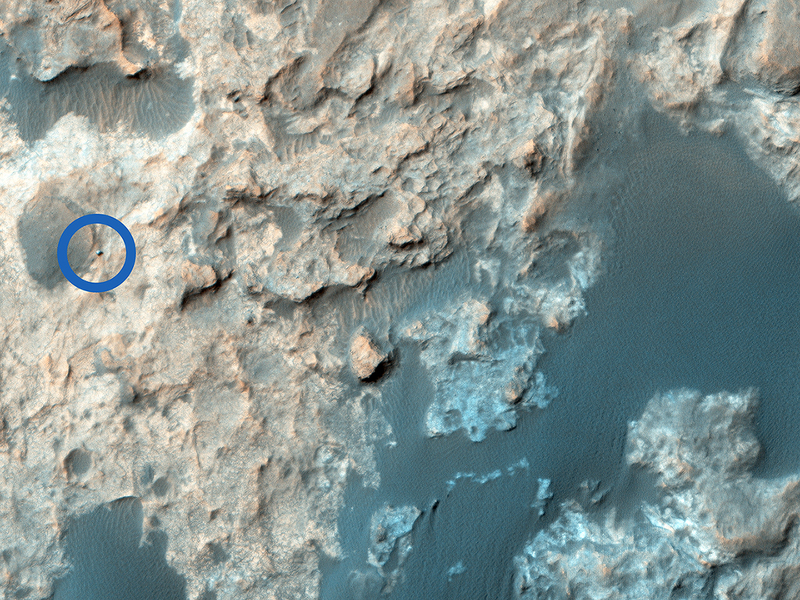 The Mars Science Laboratory, Curiosity, continues its exciting traverse of Mars. 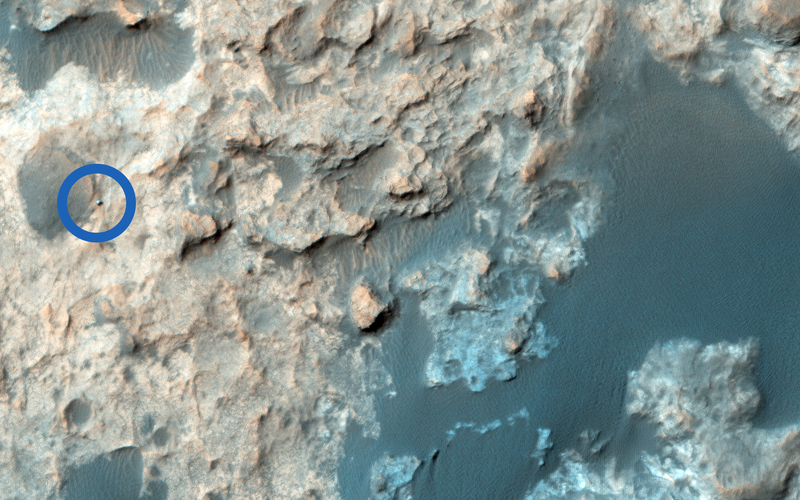 In an image acquired in September, it was exploring the boundary between two rock units: the light-toned Murray Formation and the overlying and darker-toned Stimson unit. 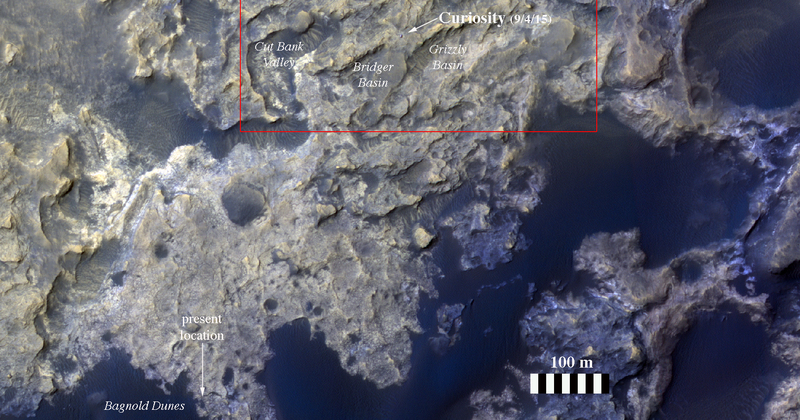 We can clearly see the rover in a complex terrain marked by tonally varied rocks, which on the surface, can correspond to the contact between rock units and dark sand. In a second more recent image, the rover has moved quite aways from its previous location: it’s now further south, closer to the dark Bagnold dune field. 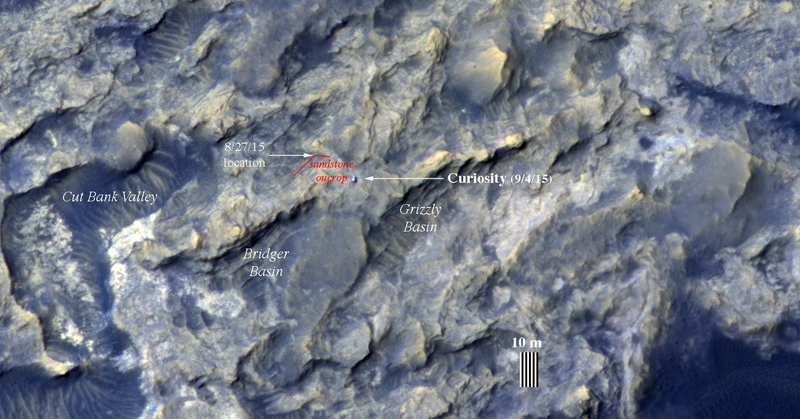 These red lines delineate the boundary of a sandstone outcrop imaged by Curiosity’s Mastcam camera on 27 August 2015.